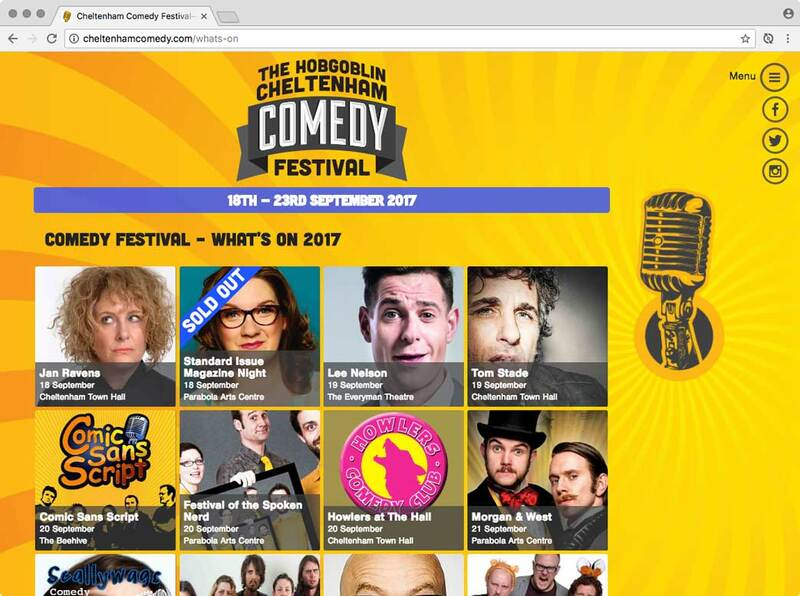 A flagship event from Tribe Festivals Ltd and Mark and Penny Makin of Makin Projects, the Cheltenham Comedy Festival presents an enviable line up of top comedians and up and coming stars. I took the festival’s core visual elements, developing them into a multi-device experience, focusing on providing content to the end user in a fast and elegant way. 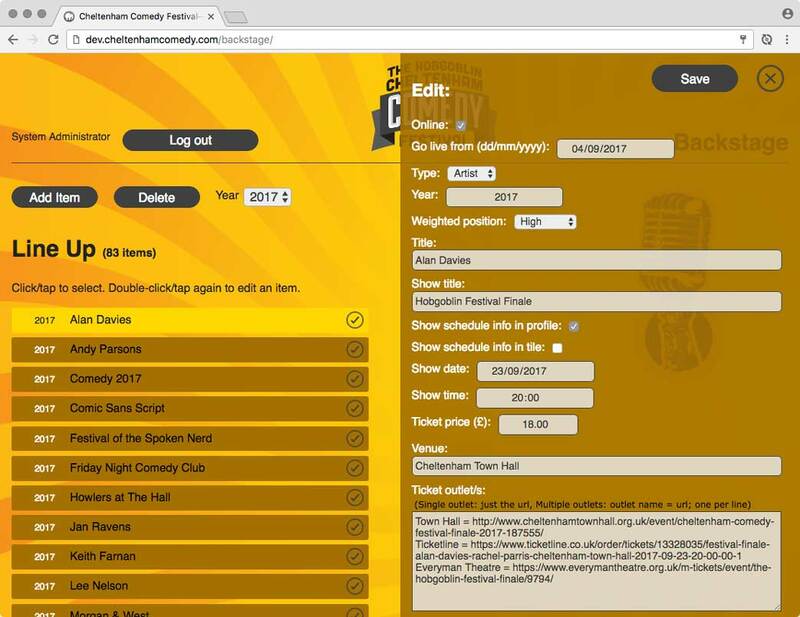 The views were enhanced with CSS animation and supported by a back-end app, which I developed to manage and control the presentation of performer and event content.